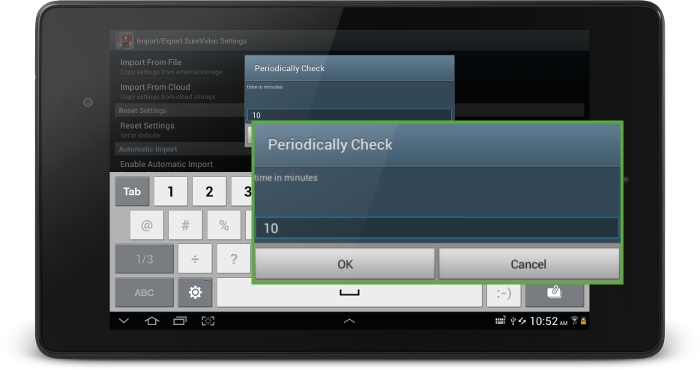 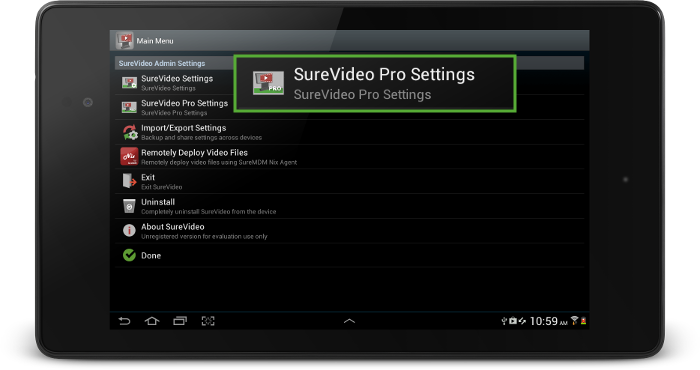 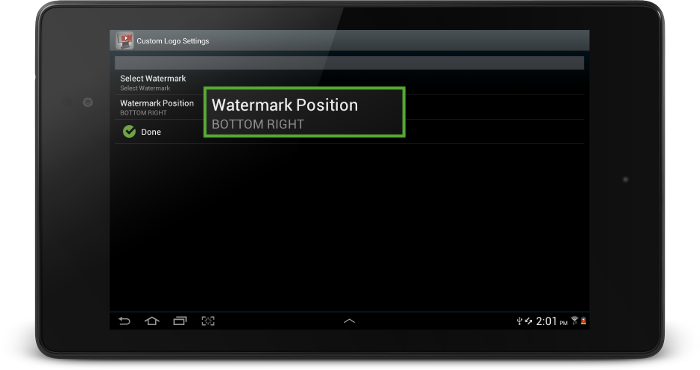 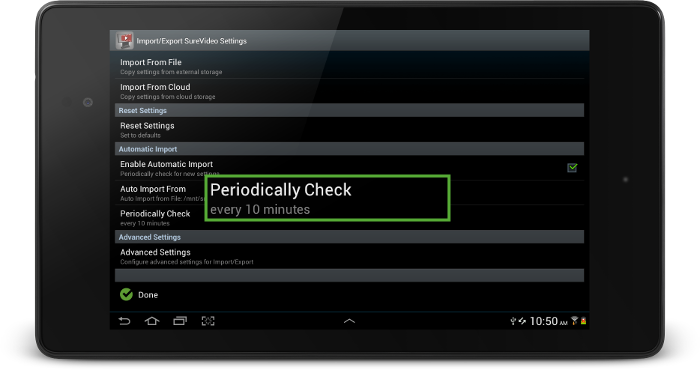 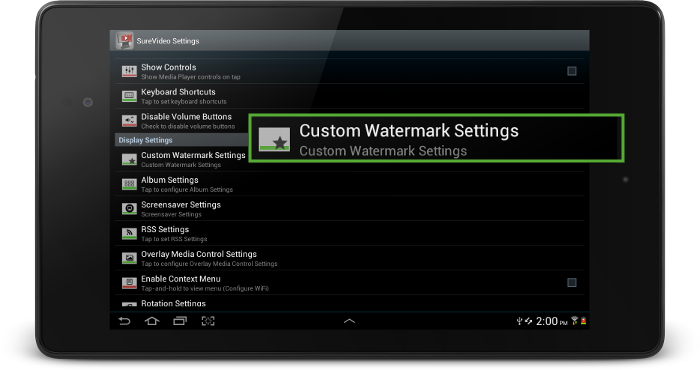 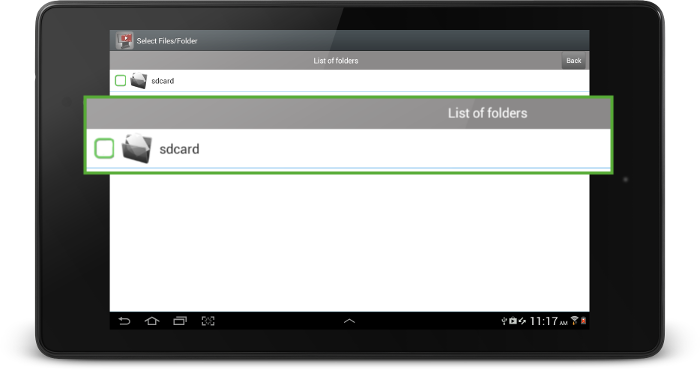 SureVideo enables your Android tablets and TV sticks to continuously play media files (videos and images) in a loop. 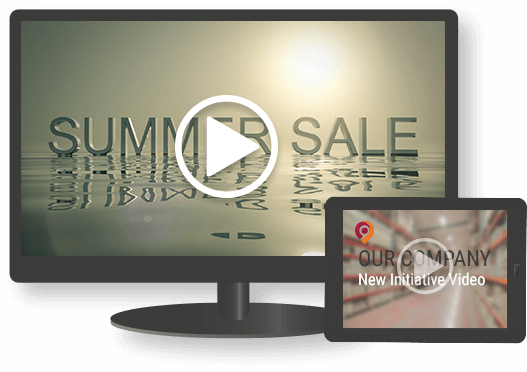 It converts your regular tablet into a professional looking Android Digital Signage solution. 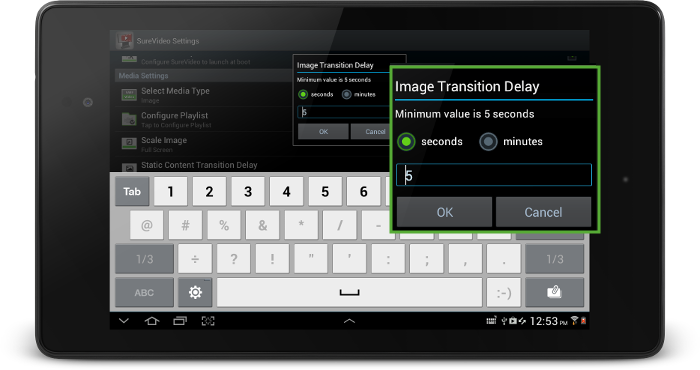 That is all you need to create a Digital Signage solution out of an Android device. 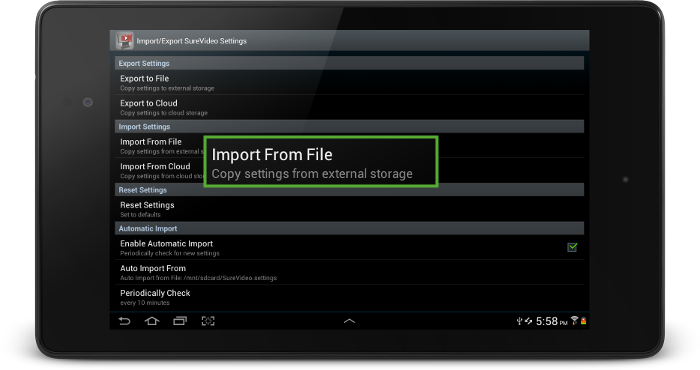 How to select media files or folder for SureVideo? 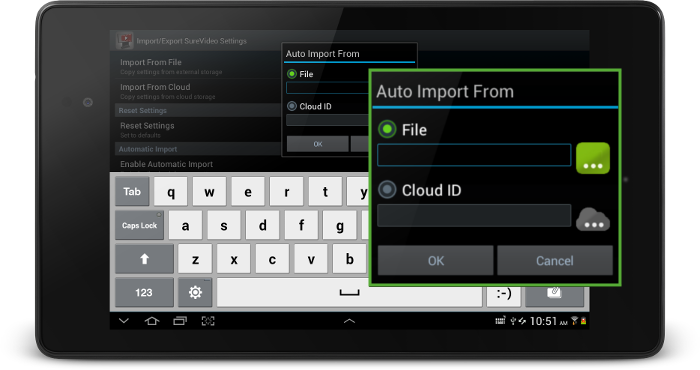 How to select media files or folders to configure playlist in SureVideo? 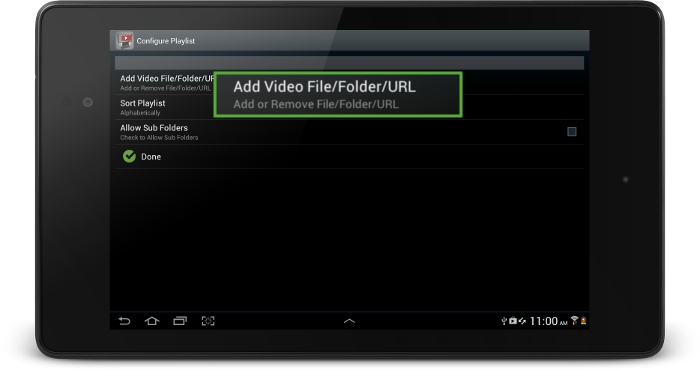 SureVideo can play video, images and flash files in Kiosk Mode. 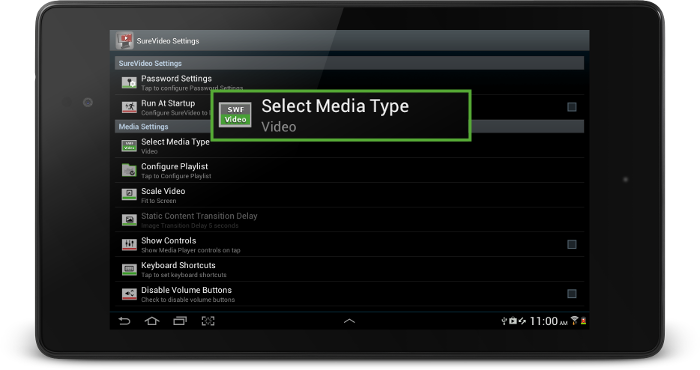 Note: SureVideo will identify only those types of files specified in Select Media Type option. 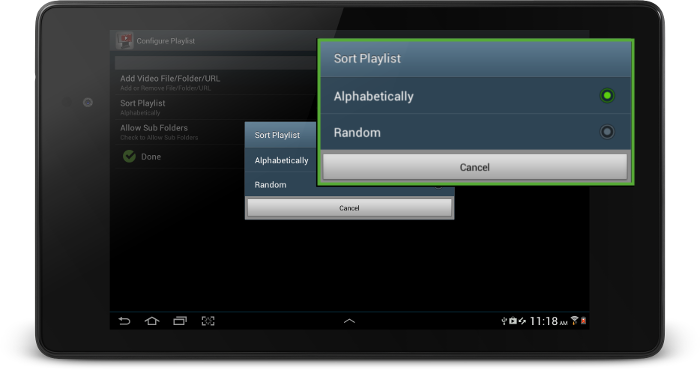 Note: If playlist sorting is not specified, SureVideo will play the files in an alphabetical order. 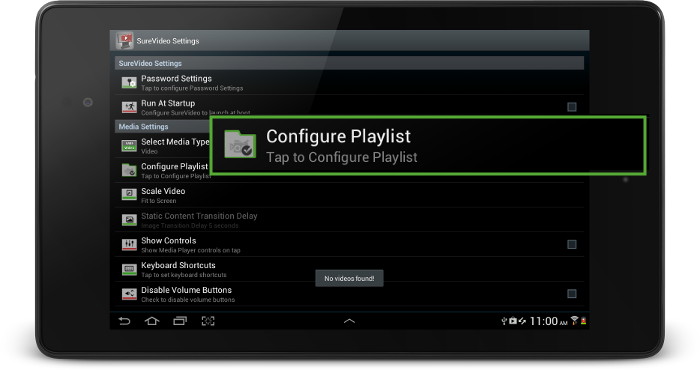 How can I setup a video to play as soon as the device is switched on? 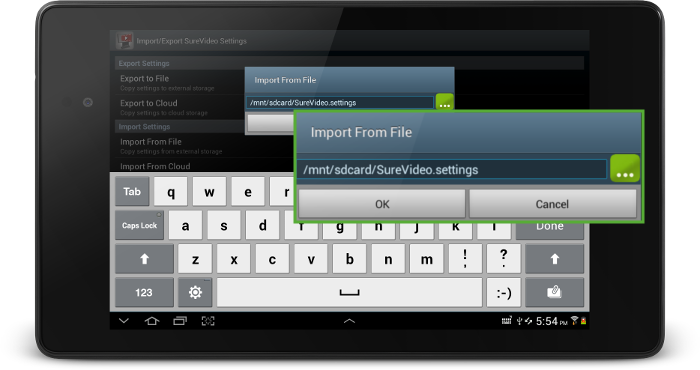 Run At Startup option in SureVideo. 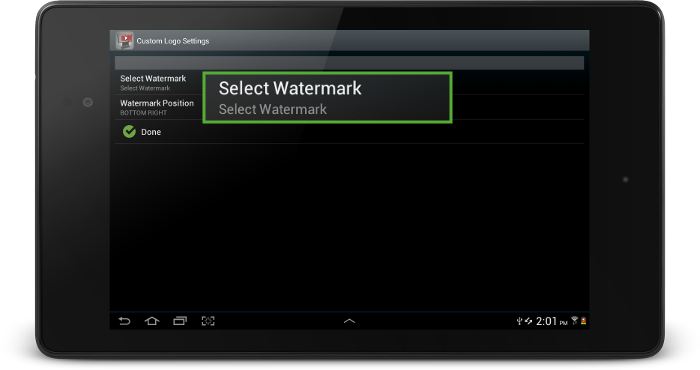 Can I also play images as a slideshow with SureVideo? 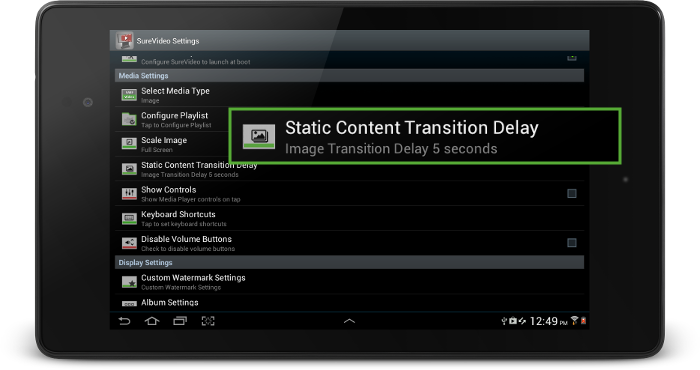 Transition Delay of the slideshow. 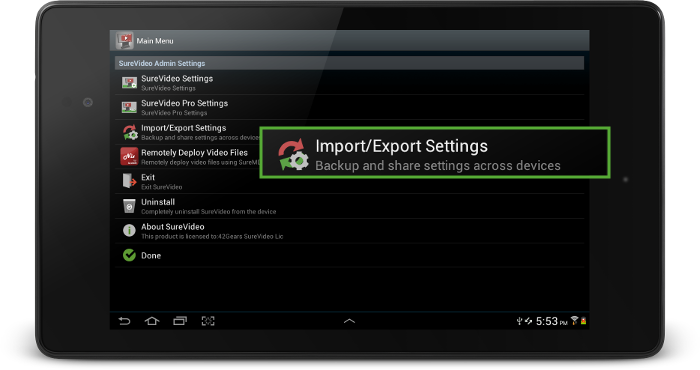 Once you exit SureVideo Settings, SureVideo will start the image slideshow in lockdown mode. 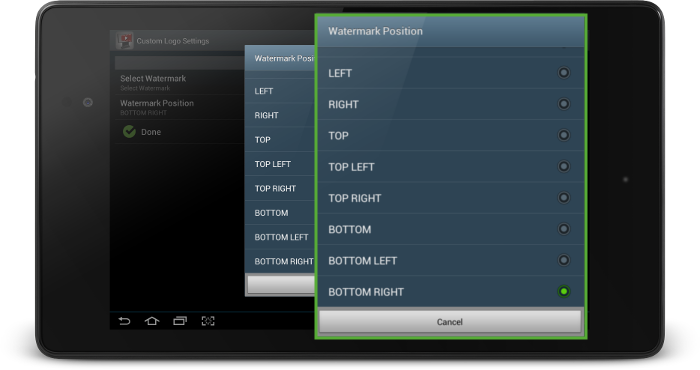 How can I have my company's logo as a watermark on the SureVideo screen? 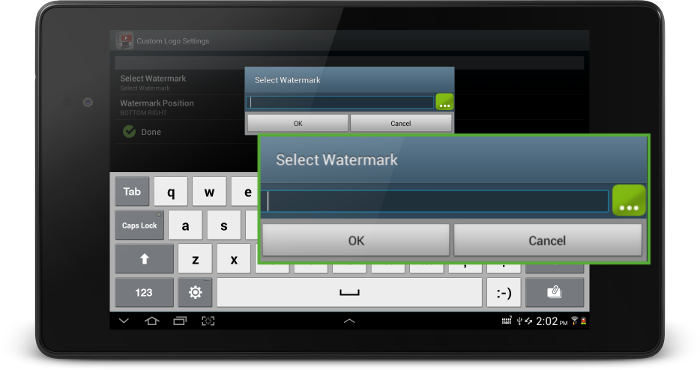 How can I use my company's logo as watermark on the SureVideo screen? 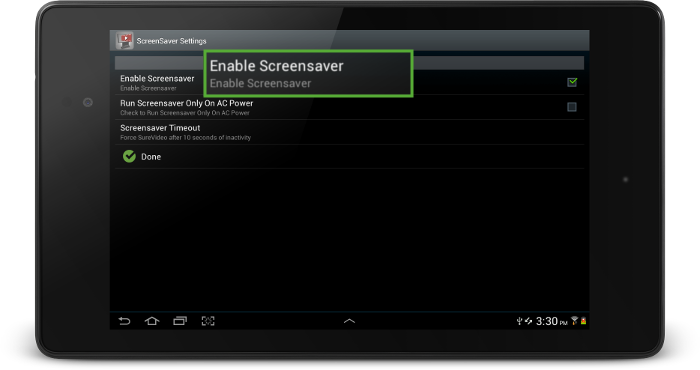 How can I set video as a screensaver in my device? 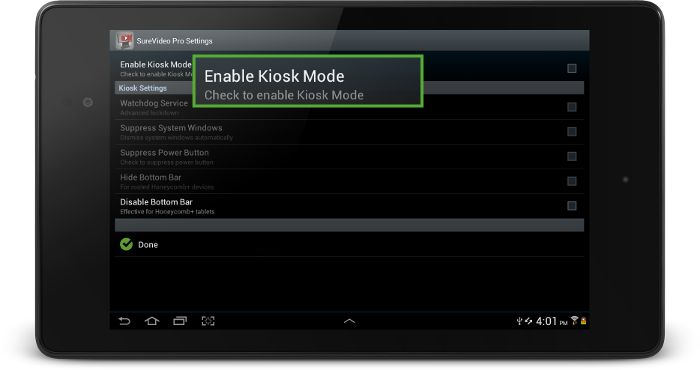 How can I enable Kiosk Mode in SureVideo? 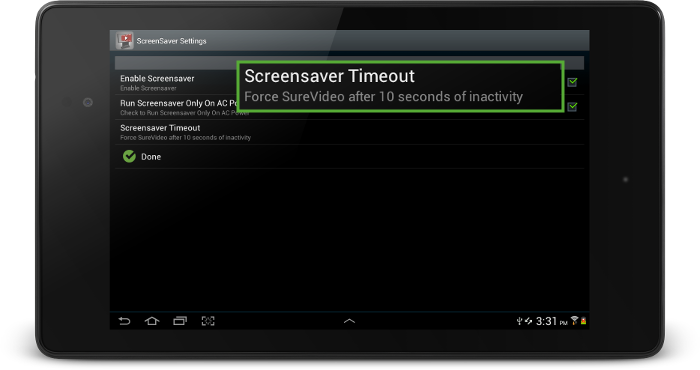 Can I restrict users from getting into the device settings while SureVideo is on? 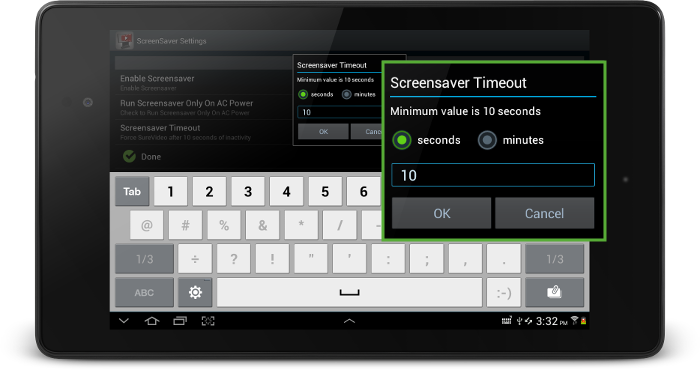 Now that Watchdog Service is enabled along with Suppress System Windows and Disable Bottom Bar options, the device settings are secured from any intentional or unintentional changes. 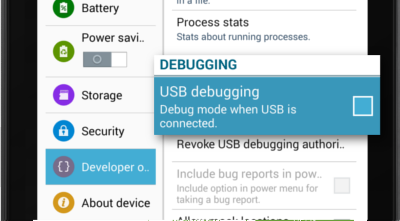 How can I hide the bottom bar? 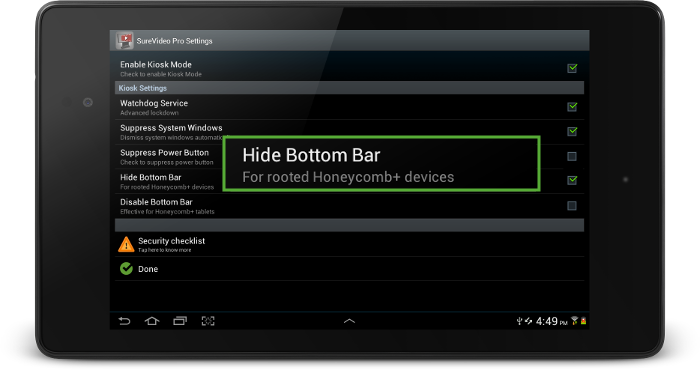 Now that Watchdog Service is enabled along with Suppressed System Windows and Hidden Bottom Bar options, the device settings are secured from any intentional or unintentional changes. 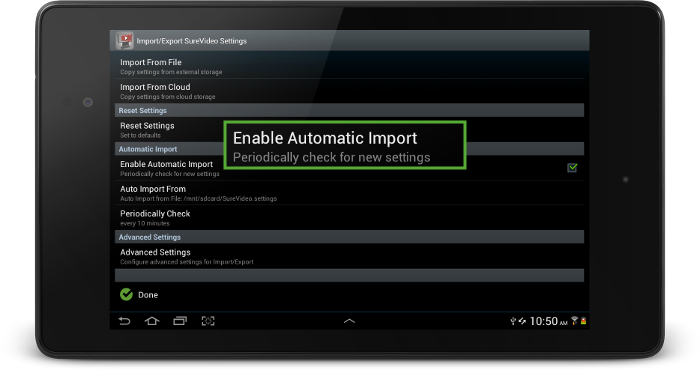 How can I set up multiple devices with same SureVideo Settings? 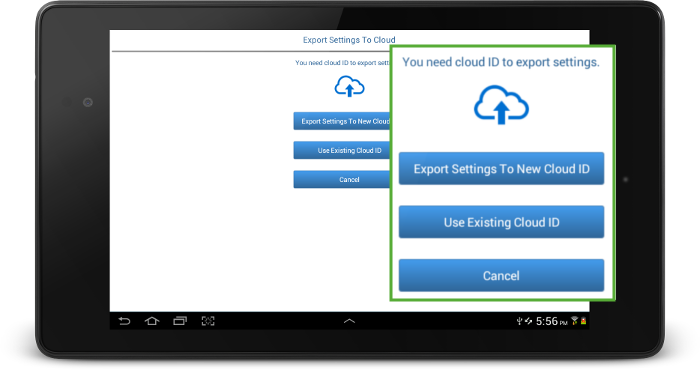 All you have to do is to configure one of the devices with desired settings and export the settings to an external device/cloud and then import the same setting in other devices using SureVideo Import option. 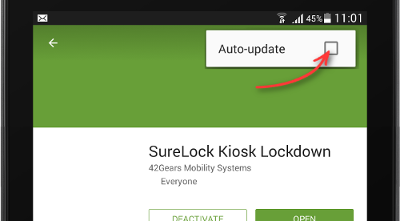 How can I set up Automatic updates for SureVideo Settings? 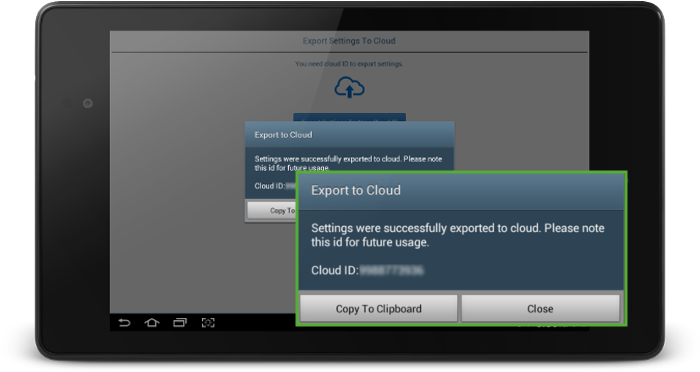 -ort option, specify a file location or a Cloud ID and set a periodic check. 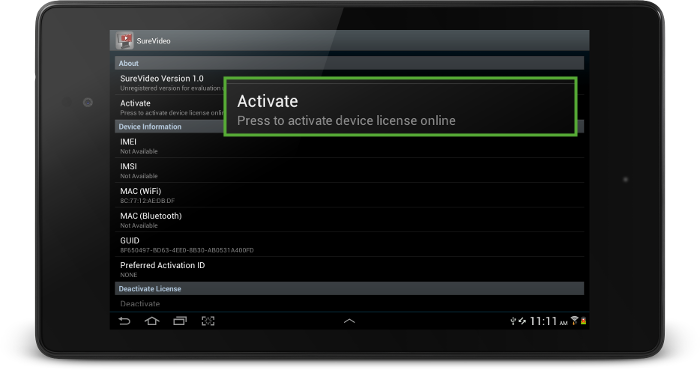 How can I activate SureVideo?